UltraSoft Diamond-Plate SpongeCote proves the old adage that two is better than one. The Nitrile enhanced Nitricell sponge is twice as thick but still absorbs repeated compression and bounces back to its original form better than any PVC sponge alternative. That means longer life and greater productivity improvement for hard working industrial athletes. UltraSoft Diamond-Plate SpongeCote doubles the defense against productivity robbing fatigue. 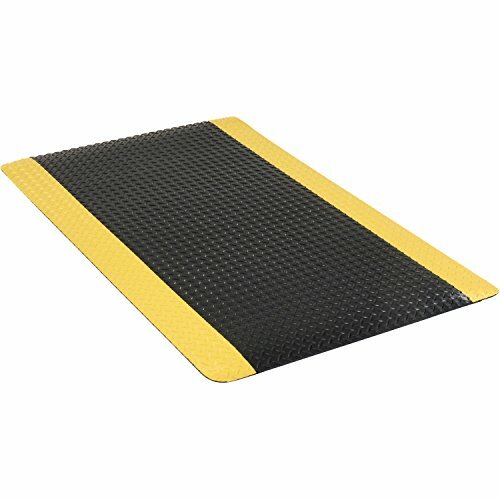 Apache Mills Diamond Plate Ergonomic Mat, 36"x60", Black/Yellow Border Width Inches: 36. Length Inches: 60. Thickness Inches: 15/16. Construction: Vinyl. Color: Black. Border Color: Yellow. Size: Stock Size. Surface: Diamond Plated. Ideal for areas where static discharge is a problem from microprocessor assembly to general manufacturing areas. The modular 3 feet x 3 feet size is great for single workstations, but quickly connects to cover very large areas. Designed for comfort, they are also light weight, easy to clean, and have rounded edges so additional bevels are not necessary. Rtg 1 x 104 to 8 x 106 ohms. This mat must be grounded and employees must either wear heel grounders or conductive shoes. 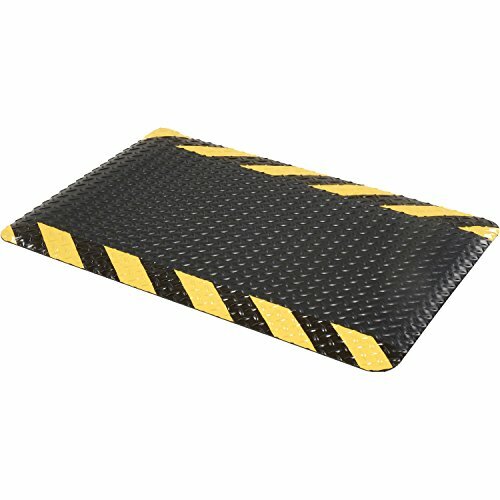 Apache Mills Diamond Plate Ergonomic Mat, 24"x36", Black/Yellow Border Width Inches: 24. Length Inches: 36. Thickness Inches: 15/16. Construction: Vinyl. Color: Black. Border Color: Yellow. Size: Stock Size. Surface: Diamond Plated. 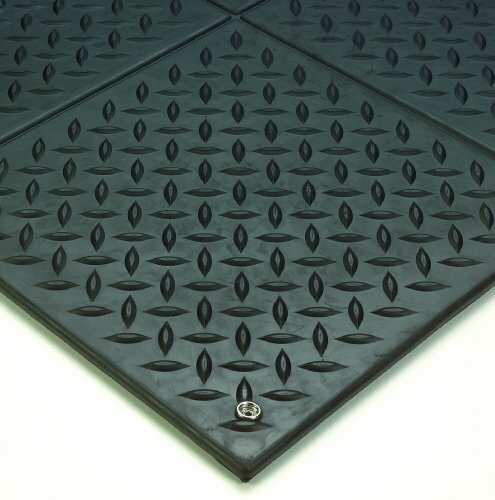 SMART Diamond-Plate took the matting world by storm when we introduced it in 2009 [during the depths of the Great Recession, no less], and it is now one of our most popular sellers! How did this happen? To paraphrase the old Spike Lee commercial… “It Must Be the Sponge!” SMART’S 100% recycled Urethane composite sponge combines economy and ecology like no other ergonomic matting product. And at a price point that no other laminated diamond plate mat can touch! SMART offers a dynamic combination of resilience, durability, and aesthetics that makes it a fan favorite. It is an MVP with an unbeatable reputation for performing best under pressure and in big-game situations. SMART Diamond-Plate is just what you need in today’s challenging workplace. 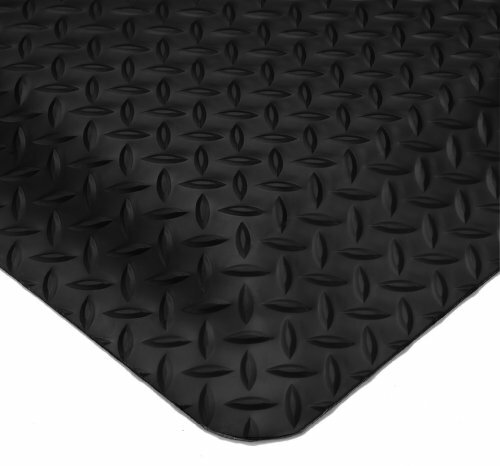 Apache Mills Diamond Plate Ergonomic Mat, 36"X60", Black/Chevron Border Width Inches: 36. Length Inches: 60. Thickness Inches: 9/16. Construction: Vinyl. Color: Black. Border Color: Chevron. Size: Stock Size. Surface: Diamond Plated. 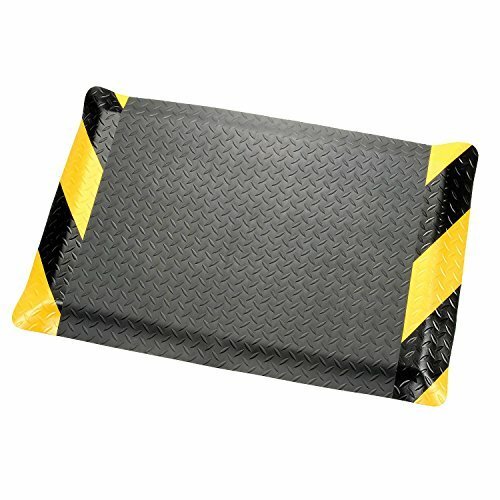 Apache Mills Diamond Plate Ergonomic Mat, 24"X36", Black/Chevron Border Width Inches: 24. Length Inches: 36. Thickness Inches: 9/16. Construction: Vinyl. Color: Black. Border Color: Chevron. Size: Stock Size. Surface: Diamond Plated. 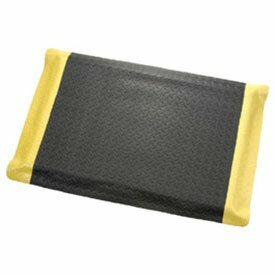 Apache Mills Diamond Plate Ergonomic Mat, 48"x72", Black/Yellow Border Width Inches: 48. Length Inches: 72. Thickness Inches: 15/16. Construction: Vinyl. Color: Black. Border Color: Yellow. Size: Stock Size. Surface: Diamond Plated. Type: Stock Size. 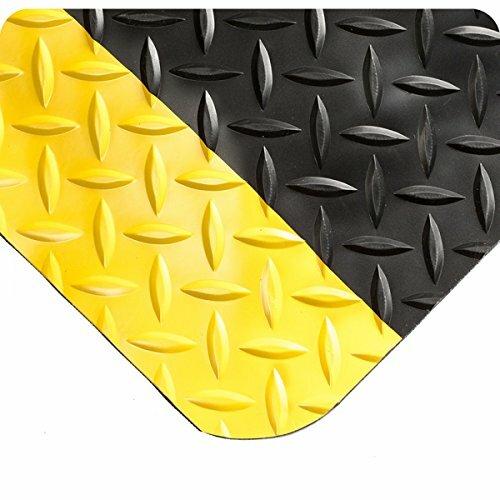 Looking for more Diamond Plate Ergonomic Mat similar ideas? Try to explore these searches: Buick Century Fuel Injection, Cream Cheese Whipped, and 10wt Fly Rods. Look at latest related video about Diamond Plate Ergonomic Mat. Shopwizion.com is the smartest way for online shopping: compare prices of leading online shops for best deals around the web. Don't miss TOP Diamond Plate Ergonomic Mat deals, updated daily.